A Woman's Best Friend - A Rose Is A Rose Is A Rose! No look is complete without accessories. A handbag is arguably the most important accessory for a woman. It’s her best friend. It is her saviour at times. She carries the world inside it! And most importantly, they also help her make a personal style and fashion statement. A handbag, today is not used just a functional and a practical thing to carry the wallet, keys, phone, and make-up accessories. But it is used in making a personal statement and even as a status symbol. Remember the buzz Hina Rabbani Khar’s Birkin made when she was in India! 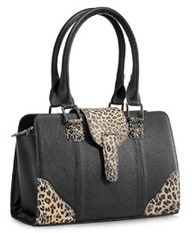 Handbags are used by women on daily basis and are also sometimes switched throughout multiple occasions. This absolute essential accessory comes in a variety of shapes, sizes, styles, colours and fabrics. A single style of bag is not adequate for the different styles of dresses we have in our wardrobes. Also, one bag is not suitable for the various occasions. We have one for each occasion, either it’s party, travel or business. Here’s my list of absolute favourite and must-own handbags for every fashion conscious woman, which by the way are available at Limeroad. Everyday Purse : This is the first must-have bag. A bag that is ideal for going to work or for grocery shopping or just about anything. It contains everything that one may need – phone, money, cosmetic and beauty accessories, sunglasses, book or a kindle, keys, notepad, pen, documents and your personal bits and pieces… Having all these little things is very comforting. Isn’t it? It gives us the feeling of being prepared for anything that the day might bring! 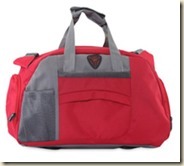 It is usually with lots of pockets and compartments, so that all the essentials fit in well. This is one bag that is used the mostest. So, neutral colours like black, brown or navy blue are most suitable. Also it should go with all the dresses in the wardrobe. Clutch : A clutch works well for a casual and chic look. It is best for a evening party as well as for a date and even for a wedding. It goes well with a saree and even with an evening gown. It isn’t a big bag but should be big enough to carry MILK. Yes, that’s Money and Mobile, ID, Lipstick and Keys. It can be in neutral colours or something with glitter, flashy metals, sequins or shimmer. Click here to check out the various Fashion Accessories online in India. Tote Bag : Tote bag is a classic bag that can never go out of style. 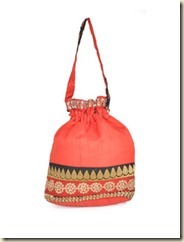 It is ideal for beach, weekend trips or shopping. It can be carried to college with casual jeans and t-shirt look or to work, with an all-formal look. Tote bags are big, so everything gets thrown into it easily and if in canvas or cloth, they can be thrown even for a wash. When over the shoulder, tote bags usually fall around elbow length. 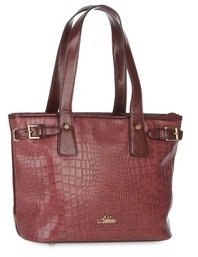 Spacious and comfortable, a tote bag is a suitable option with almost every attire. The best part about this bag is the variety that is offered. The different textures and colours make them attractive and exclusive. 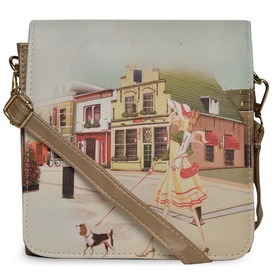 Satchel Sling Bag : This is the perfect combination of style and function. It can hold a book , laptop or any other day to day items with style. It is a bag with long sling/strap and is worn on one shoulder with the strap winding around the chest. It is often called cross-body bags because of how it is worn. 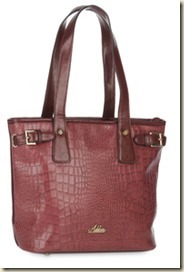 This bag is apt to go with any casual attire. Wristlet : A wristlet is a small handbag with a short carrying strap resembling bracelet and it can be worn around the wrist. It holds very little – usually less than a wallet. 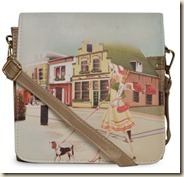 It keeps all the valuables really close at hand and is convenient and stylish at the same time! Weekender : The weekender handbags are a must have bag type for the women who are on the move. It is ideal for weekend get-aways. It is a large bag, which can carry almost everything one needs no matter the occasion. It is sometimes used as gym bag, diaper-bag, duffel bag, backpack for hiking, camping, travelling and sometimes the carry-on bag. Which is your favourite handbag? How do you perceive your handbag? Is it basic and functional, personal style statement, fashion accessory, status symbol? Or all? I gave up handbags many years ago – my shoulder was battling with the weight of them! Now I carry a small bag the size of my two hands placed together (I have small hands) and it takes my wallet and cell phone and lipstick! A gal cannot go anywhere without the lipstick! I have a few of these – 1 black, 2 brownish and they have thin straps so I can wear across my body and basically be hands free – and carry car keys in hand. Yours are LOVELY! I prefer to have a small purse. I have got small ones of different colors. Your post is very informative. I like bags with lots of pockets, but not too bulky. I don’t like carrying too much weight around on my shoulder. I LOVES, love, Loves, my handbags. 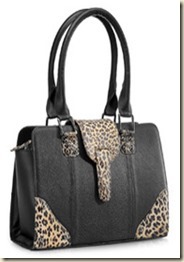 My daughter’s mission in life is to find her mom a new and stunning bag and that’s fine by me! Trouble is — the good ones don’t wear out so you get quite the collection! I love leather bags, but of late have moved into the tote bag type. Must check out Limeroad. 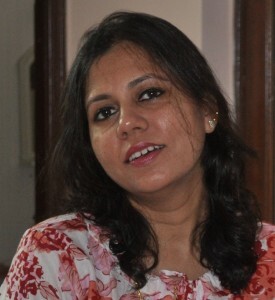 Thanks, Shilpa! 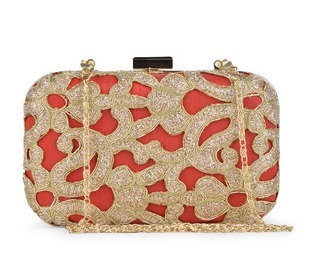 Not clutches, not wristlets, not even for parties. More like a small sling. That everyday purse — I have something just like this. I am not much of a bag person. Just one good looking functional bag works for me. I have more than a dozen of them and I still can’t have enough. A woman without her bag is so incomplete indeed. Oooh I love bags. Sling bags used to be my favourites but I somehow outgrew them. Now it’s just plain handbags that I love best. Didn’t know something like ‘wristlets’ existed. That is such a cute name. Nice collection! Thanks for sharing!